Good Morning and Happy Easter to all!! I just wanted to share my favorite Easter card today from the group of cards that I made for my Easter Card Kit. I love the set Everybunny!! And the new Sunshine and Sprinkles designer paper from the Spring catalog is perfect with all the bright colors!! Have a great Easter everyone!! Don’t eat too much candy! 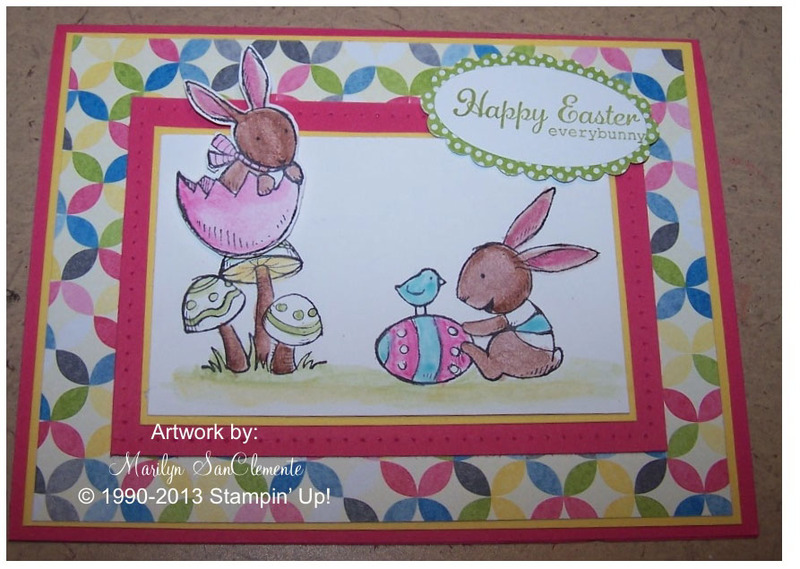 Easter cards, handmade cards, Stampin' Up!, STampin' Up! cards. Bookmark.